The Internet is a face-moving place. New content is uploaded every minute of every day, so keeping up can be difficult. Which is why real-time marketing is even more important than ever. This new style of marketing leaves room for brands to react, in real-time to events, relevant trends and feedback from customers, in a timely manner. With so many brands now taking on this approach, showing awareness to what is going on in the wider world is now imperative to the success of any business. 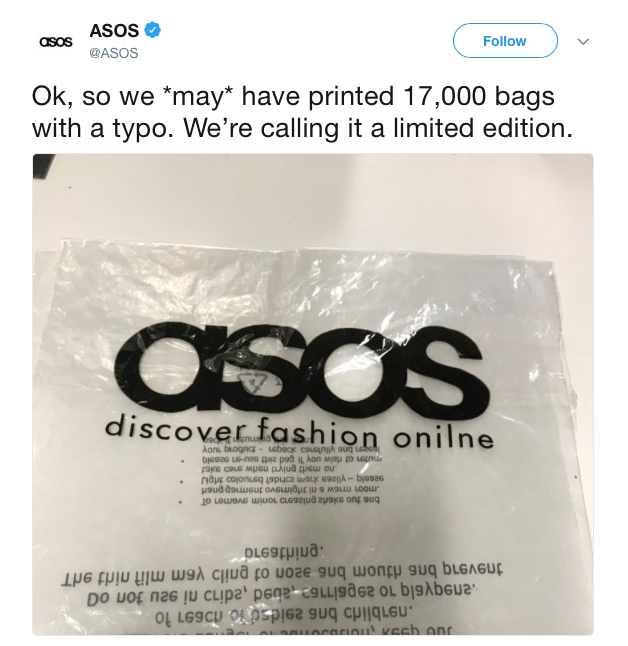 After printing 17,000 bags with a spelling mistake – ‘onilne’ instead of online – ASOS were quick to react by owning up to their error in a tweet. Their fast response gave them the chance to own their mistake before anyone else was able to comment on it. The jokey format of the post also allowed them to immediately establish themselves as a company with a bit of personality. The tweet received 586 comments, 8.5k retweets, and 49k favourites. Their humorous response therefore not only gave a human element to their brand, but it also generated them a huge amount of unpredicted reach for the business. KFC came under a lot of fire a few months back when it was unable to supply the chicken that it is famous for. After a few days of silence, in which consumers constantly mocked them, the fast-food chain finally responded with a series of newspaper and social media adverts. 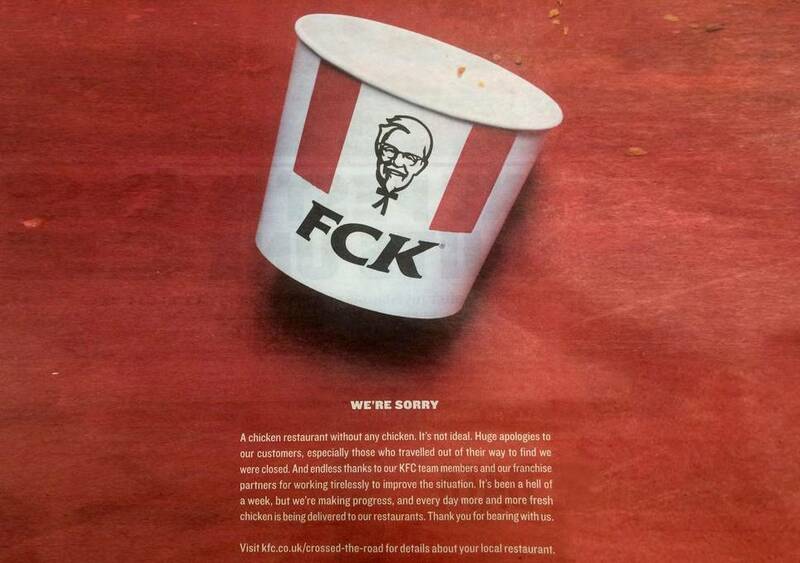 The adverts featured the iconic ‘KFC’ logo with letters that had been rearranged to spell out ‘FCK’. The adverts, complete with tongue-in-cheek yet amusing copy, were printed at the weekend in a humorous attempt at an apology and as a response to the jeering comments they had received during the week. The result? An overwhelmingly positive reaction online, as consumers praised the adverts across Facebook and Twitter. McDonald’s golden arches logo is one that is instantly recognised worldwide. But on the 8th March 2018, McDonald’s shook things up a bit. 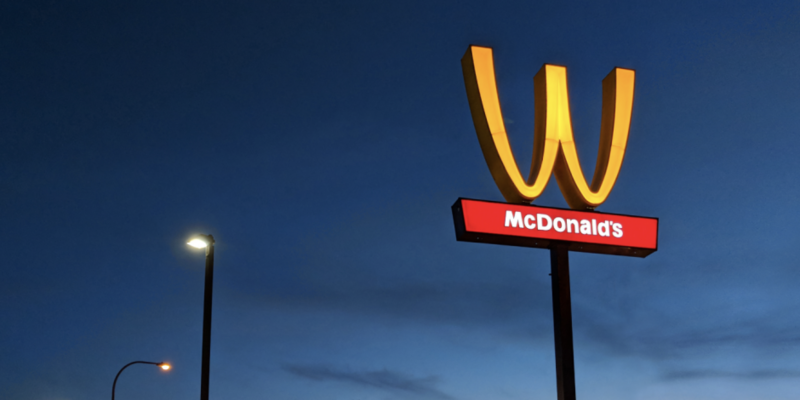 In honour of International Women’s Day, the fast-food company turned its arches upside down so that it appeared as a giant W rather than an M.
The idea was simple but bold and was a brilliant nod to the topical event-taking place at the time. Photographs of McDonald’s altered logo were shared across the Internet, proving that sometimes it pays to be aware of what is going on outside of your own sector. And, even though the move itself was arguably a bit too simplistic, it did highlight that McDonald’s has a topical awareness. After luxury brand, Balenciaga released a £1,600 bag that was incredibly similar in design to Ikea’s classic ‘blue bags’ the Swedish company wasted no time in responding. Ikea reacted, much to the amusement of everyone who was watching the scandal unfold, with an advert that gave directions on how to differentiate between the two bags. Their response went viral, appearing on social media platforms and in news outlets across the world. But the best bit about this campaign is the fact that it started with Ikea’s consumers. 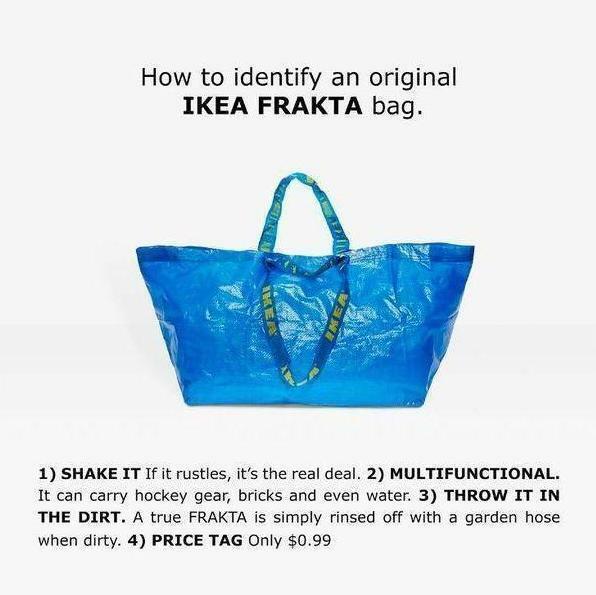 After Balenciaga released their bag, shoppers were quick to point out the similarities between it and Ikea’s own bag. Ikea simply took note of what its consumers were saying before turning their thoughts into a specially generated advert. 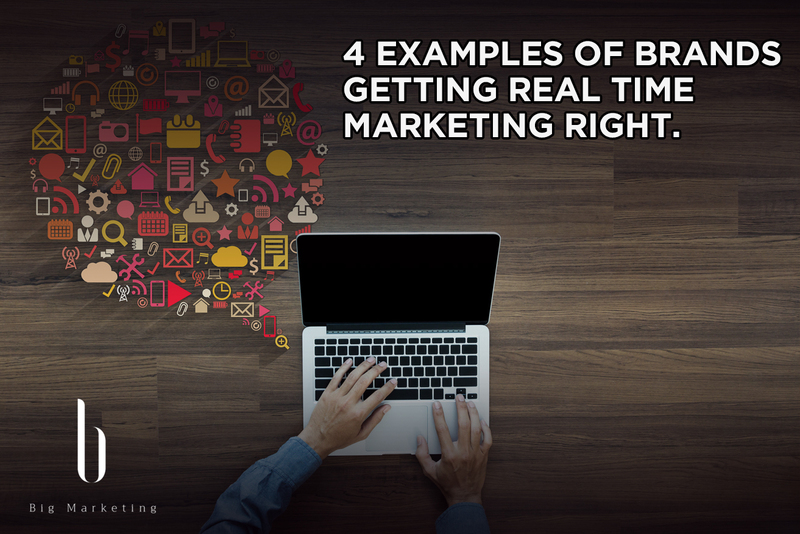 What can you learn from these real-time campaigns? The examples above feature two fast-food companies, one fashion retailer, and one home retailer. Their target audiences differ from one another, their marketing responses differ and yet, there are some similarities from across each of the responses that everyone would benefit from taking note of. – You need to be aware of what is going on in the wider world; it is beneficial to take note of conversations and events taking place outside of your own industry. – Your consumers are at the crux of your business, so you need to pay attention to what they want, and to what they are saying. – Don’t be afraid to acknowledge your mistakes, they make you human. People buy from people so, as long as you still maintain a professional stance, showing a bit of personality will rarely result in a negative response. – Carefully placed humour can be a great way of instilling a bit of personality into your marketing strategy. Do you need help with your marketing? We can help! Call 01908 or email info@bigmarketing.co.uk to speak to one of our specialists today.